In this week’s Mad Genius Tips video, F&W Test Kitchen genius Justin Chapple revealed the trick to making garlic paste at home. Now that you have access to a never-ending supply, here are eight delicious, garlic paste-packed recipes to make. In this week’s Mad Genius Tips video, F&W Test Kitchen genius Justin Chapple bettered the lives of garlic lovers everywhere by revealing the trick to making easy, mess-free garlic paste at home. Now that you have access to a never-ending supply, here are eight delicious, garlic paste-packed recipes to make. Topped with salty anchovies, spicy crushed red pepper and plenty of roasted-garlic paste, this pie is not your everyday pizza. Garlic is common throughout Basque cooking—minced, mashed, poached and roasted. Here, it’s made into a paste and dehydrated until crisp. This succulent roast chicken is rubbed with a generous amount of rosemary–spiked garlic paste. Garlicky tzatziki is perfect with charred pork shoulder and sweet onions. 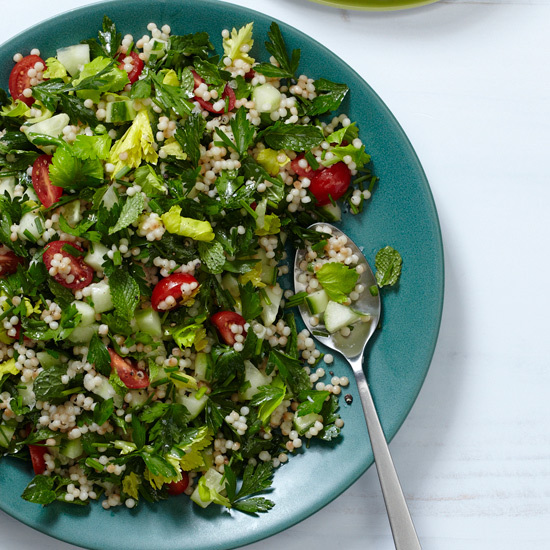 Garlic paste is the base of the tangy dressing for this super-herby tabbouleh. Texas chef Tim Love rubs this rib roast with a salty garlic paste that forms a crispy crust as it cooks. Garlicky homemade aioli is a revelation, and it’s delicious on sandwiches, as a dip for vegetables or swirled into stews.